One of the greatest challenges Spanish society faces nowadays is searching for options in order to deal with mass housing estates, built in the decades of accelerated urban growth that took place from 1950 to 1975. Those housing estates were designed following the dictates of the Modern Movement and the Athens Charter (1933-43), and they are today in different situations, in many cases with serious deterioration risks. Many of them have been qualified as vulnerable urban areas. The comparative critical study –in relation with Western European and post-socialist models of these “neighbourhoods of city towers and slabs”, with an special emphasis on urban form and the characteristics of public spaces -that is, in terms of urban regeneration- will be one of the first contributions of this project. 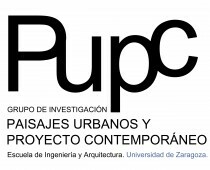 Following this first theoretical and interpretative work, the research project will take a primarily applied nature, aiming at designing a “best practices” manual consisting of intervention strategies that provide the criteria with which to face the regeneration of these deteriorated neighbourhoods located in many Spanish cities, ultimately contributing a solid and grounded catalogue of possible solutions. Such a project aims at giving response to one of the eight challenges posed in this call: addressing the changes and innovations that the Spanish society is experiencing in recent times; a challenge, on the other hand, doubly justified if we consider that those changes have brought about the need for architecture and urban planning to be profoundly reconsidered and restated, both in their goals and in their fields of action. Therefore, this project opens up new possibilities for the intervention of both disciplines. The fact that the housing market in Spain is oversized in comparison with the rest of Europe, coupled with the decrease in demand, underlines the timeliness of a project that explores the possibilities to intervene in the existing housing stock. Facing this challenge by providing the integrated vision of a work group consisting of architects, urban planners and designers, sociologists, and geographers is one of the distinctive features of this project: a contribution that also intends, in a way, to go further than the proposals of organizations such as Do.co.mo.mo, by completing “documentation” and “conservation” with aspects such as “recovery” and “regeneration”, not only of the architectural objects produced by the Modern Movement, but also of the massive residential ensembles it spawned. The goal is, to sum up, to produce a critical catalogue with case studies, classified and analyzed in such a way that they provide us with an integrated vision of the concepts and techniques that should guide the renewal, regeneration or restoration of “modern” housing estates, focused on their urban and architectural aspects, which are usually overshadowed by the socio-economic and political aspects of the problem. It represents a contribution that will allow us to redefine the state of the art of a significant part of our cities which has not been properly taken care of, and which, doubtlessly, constitutes an invaluable opportunity to reorient the work of architects and urban planners towards our existing built heritage, rather than towards the construction of new developments.